SOUTHERN UTAH — Imagine sitting on the porch of a cabin suite enjoying the crisp fall air with a warm cup of coffee or flavored hot cocoa. Your muscles are tired from the day’s adventures and in your mind you are already creating a thousand memories of your fall vacation at Zion Ponderosa Ranch Resort. 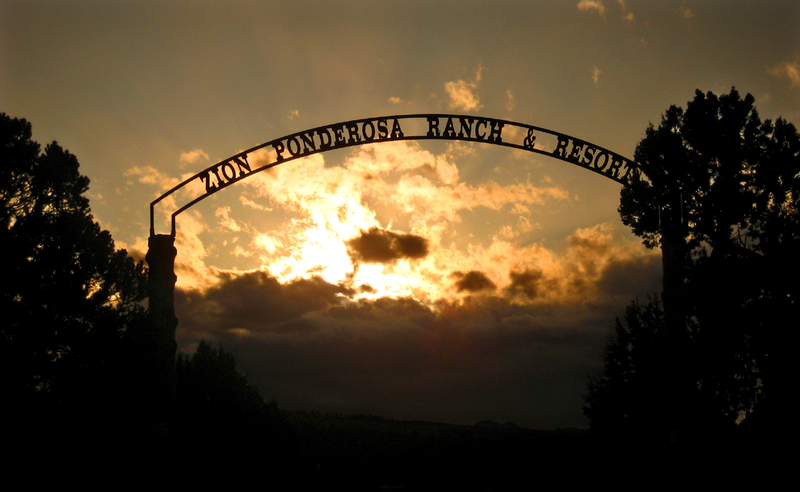 Zion Ponderosa Ranch Resort is a 4,000-acre resort property on the eastern edge of Zion National Park. The property sits at 6,500 feet and offers guests stunning views of the park and surrounding areas. “We like to say that this is where Zion National Park touches the sky,” Director of Marketing Mark Wade said. And touch the sky it does. As the sun sets and the stars come out, you can’t help but gaze heavenward and gawk at the infinite universe, so visible without light pollution … a relaxing end to an exciting day. The resort offers a full-scale adventure experience from All Terrain Vehicle and Jeep tours, climbing walls and zip lining to guided canyoneering trips, easy day hikes and, coming soon, single-track mountain biking trails as well as bike rentals right on property. 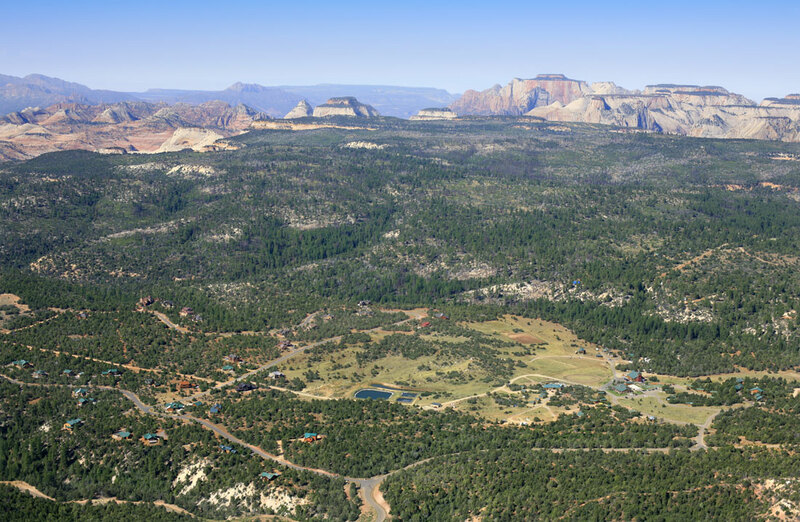 Zion Ponderosa holds a variety of active adventures on property, including a women’s only adventure retreat and one of the Ragnar Trail Relay Series races. Other amenities include a gift shop, dining and spa services. 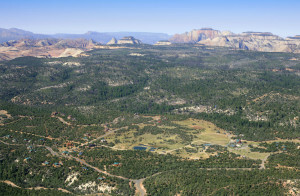 Because of its proximity to Zion — the resort butts up against the park’s boundary — guests can easily access popular vantage points Cable Mountain and Observation Point by hiking 3 miles across the top of the mesa rather than making the steep trek from below. Resort guests wishing to spend time in the national park are offered shuttle services that will take them to and pick them up from popular trailheads as well, Wade said. From the resort, guests can easily access other popular area attractions, including Bryce Canyon National Park (75 minutes), Cedar Breaks National Monument (65 minutes), Coral Pink Sand Dunes State Park (25 minutes) and much more. 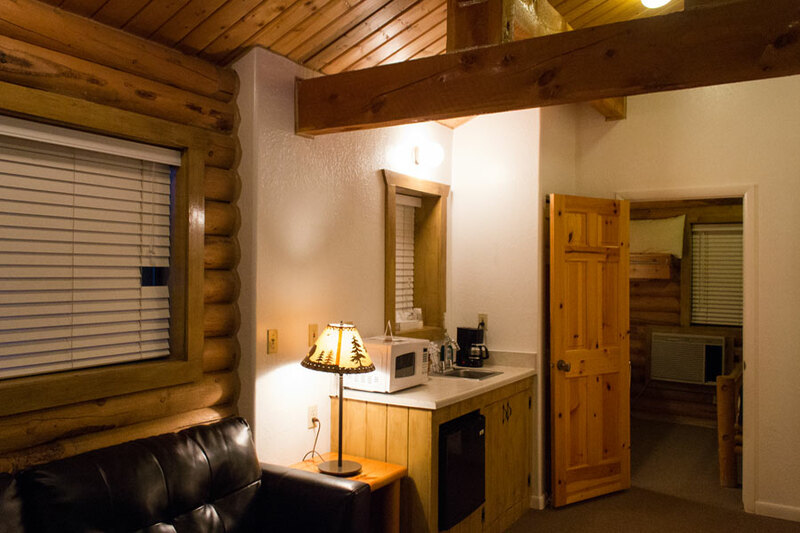 Guest accommodations at the resort range from basic tent and recreational vehicle camping to rustic cowboy cabins and wagons, cabin suites and large and luxurious vacation homes complete with Jacuzzi tubs. The changing season has brought vivid colors to the foliage around Zion National Park with scrub oak turning a bright red, and the cottonwoods along the Virgin River as well as the aspens scattered in higher elevations announcing their maturation in golden, yellow hues. Take advantage of smaller crowds and seasonal offers at Zion Ponderosa and make the most of your fall break. Zion Ponderosa is currently offering seasonal discounts on their cabin suites and cowboy cabins when you purchase a recreation package that includes 10 activity vouchers. Discounts are 40 percent off for weekday lodging and 30 percent off for weekend lodging and offer guests a wide array of activities and adventures. For more information on seasonal rates, including discounted vacation home rentals, visit Zion Ponderosa’s vacation package Web page.